Which ingredient’s discount make you happy at a grocery store? One of the thing I miss most about Hawaii is picking a lot of fresh avocados from trees in the neighborhood. OH.. I miss that!! When I lived there I didn’t appreciate that but now I wish I could make many kind of dishes with fresh avocados. Today is the lucky day to have avocado for dinner! 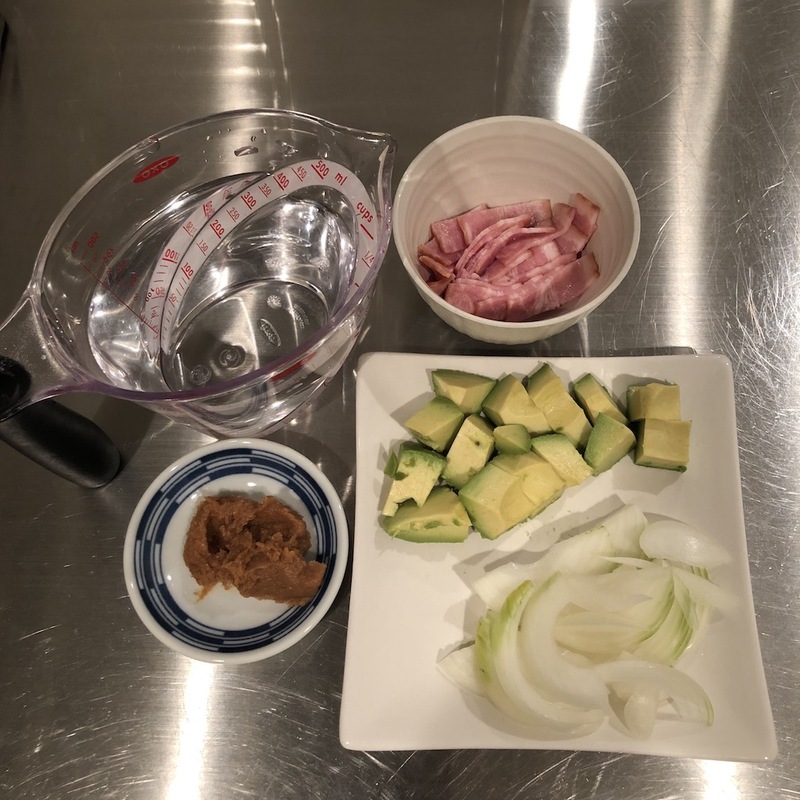 Let’s see if I can create new delicious avocado dish! 1. 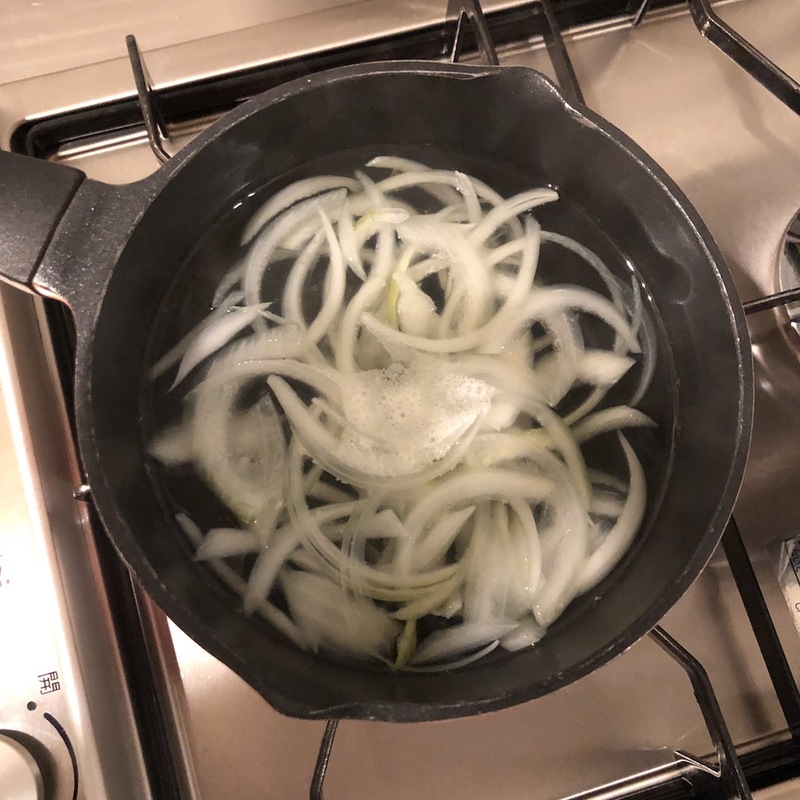 Heat water and onion in a saucepan until onion turn translucent. 2. 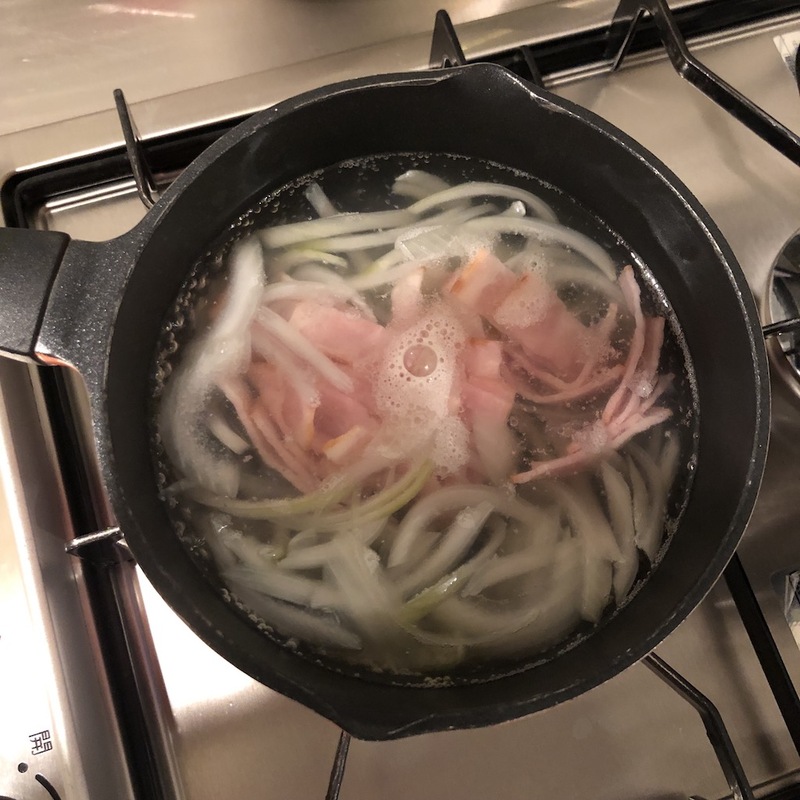 Add bacon and simmer for 1-2 minutes to cook it. 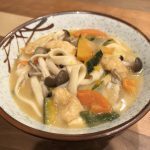 (Add dashi granules if you need). Then remove from heat. 3. 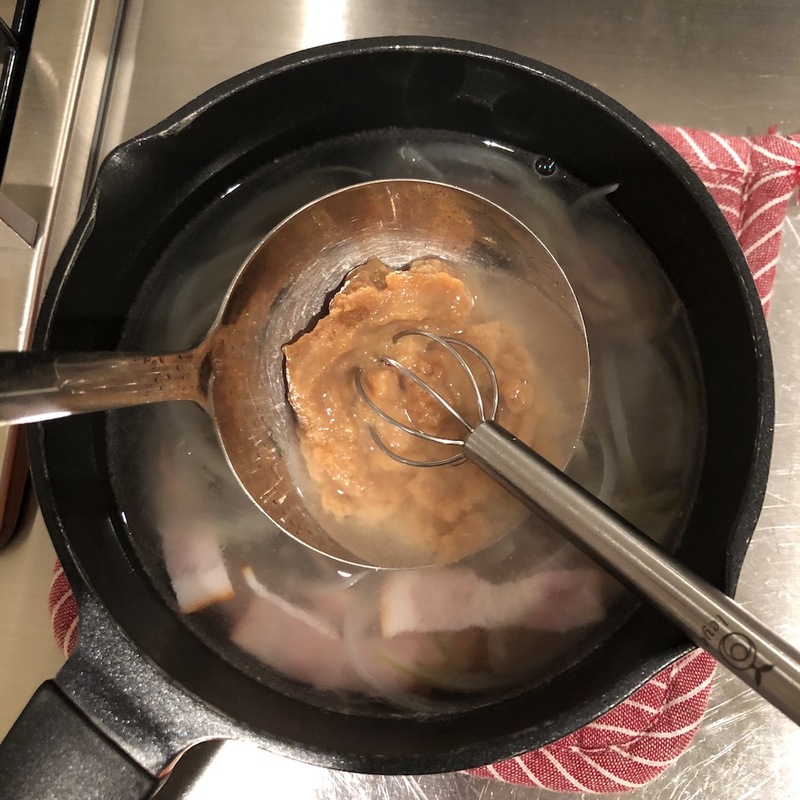 Add miso paste and stir until miso is completely melted. Put diced avocado in a bowl and pour the soup. To be honest, I was worry if avocado will go good with hot soup or not. But I should’ve not thought like that. 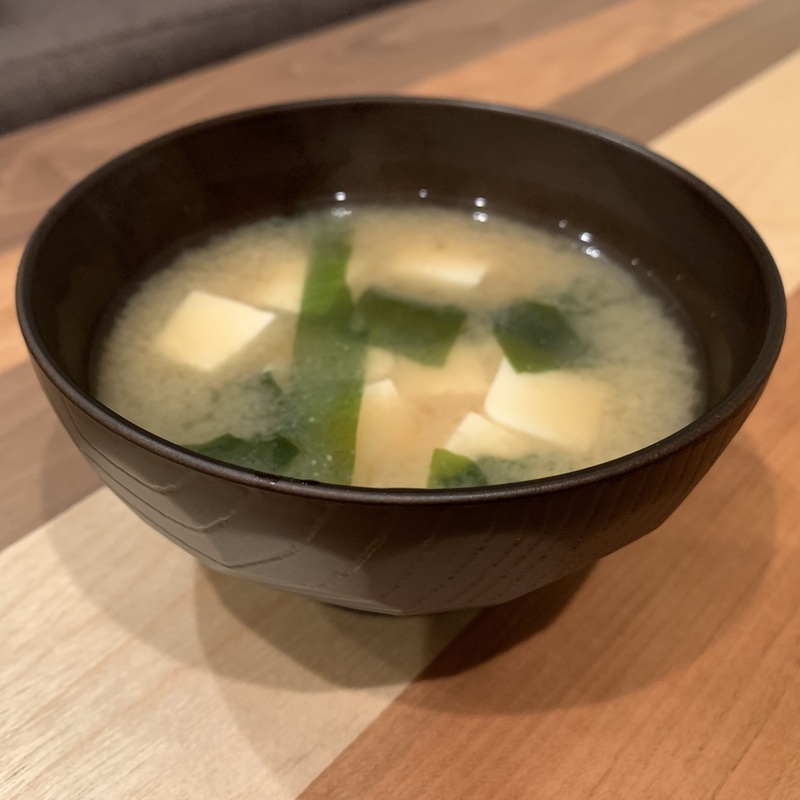 It’s totally fine and very delicious soup!!! 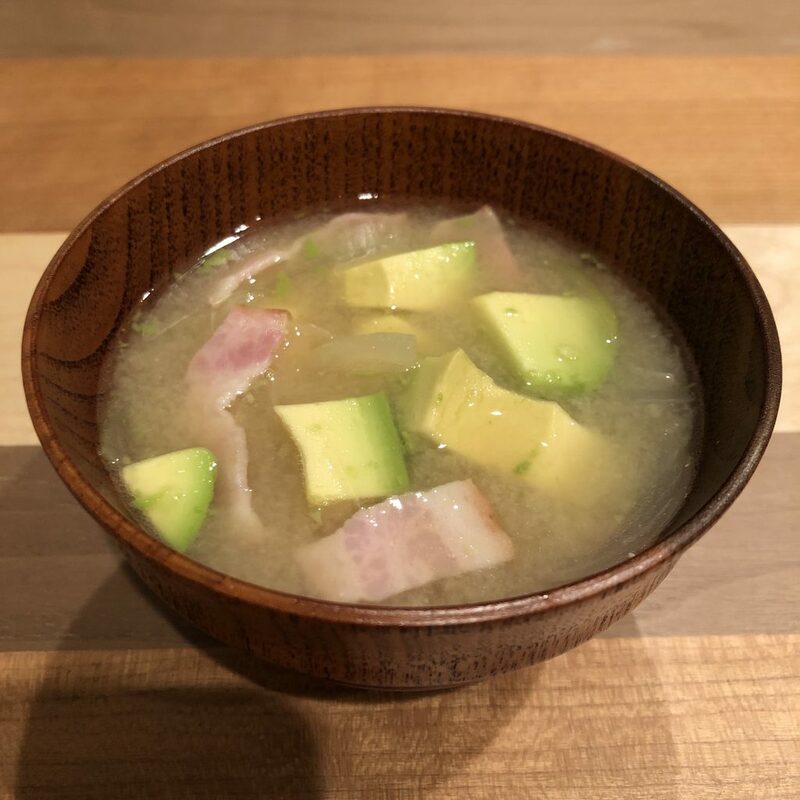 You must be satisfied with the combination of avocado and bacon in the miso soup. 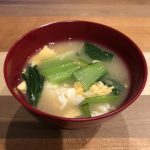 I think tofu would match with this recipe too instead of bacon.